WordPress is the leading CMS platform with about 54% of sites with CMS integration running on it and enables you to easily create and manage sites for almost every business niche. There are many online sites that provide themes and plugins for your diverse WordPress needs-and within them there is one site wpmudev.org which has been consistently delivering quality WordPress themes and plugins, backed by an awesome support team and at affordable prices. Their wide selection enables you to find the perfect theme or plug-in for your specific needs and extensive tutorials enable you to get the best out of your purchase. You also get access to a vast user community to share ideas and seek feedback and get the advantage of a dedicated support team right from your WordPress dashboard. Let us take a brief look onto how WPMUDEV can add value to your WordPress site. 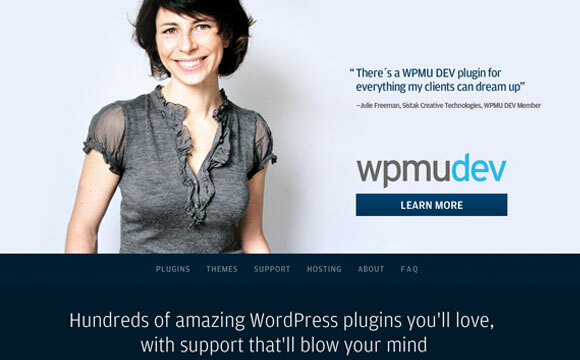 WPMUDEV offers premium WordPress themes and plugins for WordPress along with BuddyPress integration. You can also use them for WordPress multi-site installations and each purchase comes with unlimited usage. Their vast collection has a solution for almost every WordPress need and is designed to help you get the very best out of WordPress. The choice of a perfect theme is the most important part of your WordPress odyssey, as you would ideally want to choose an option that is useful, flexible and has been tried and tested. Do check out their collection of themes for every online need right from business and gallery sites, magazines, news sites, as well as for diverse needs such as for an FAQ portal or a community site. All their themes are BuddyPress compatible enabling you to create an online BuddyPress community right within your WordPress site. They also have a 133 theme pack for premium members. You can choose to purchase an individual theme at $19 with a single month’s support and updates, or can enroll in the membership option for $39.50 per month and get unlimited access to about 350 themes and plugins along with support, updates and video tutorials. Plugins allow you to add a wide range of functionalities within your existing theme without having to write a separate code. They has a wide range of plugins for all your WordPress needs-ranging from an ecommerce plugin- MarketPress to a feature rich live chat plugin. You can also find plugins to create a WordPress Wiki, have users to pay with a Facebook like, create a live stream of data and many more. Their vast range of plugins are designed to seamlessly integrate with your WordPress site and give you the advantage of integrated features you always wanted to have in your site. They also offer a service to have a custom plugin created for your specific needs. BuddyPress is a popular platform for creating an online user community. All of the featured themesare BuddyPress compatible allowing you to perfectly engage your users by creating a discussion group or a community right within in your WordPress site. WordPress multi-site enables you to run multiple sites from a same WordPress installation thereby saving time and resources. All themes and plugins are 100% GPL , compatible with WordPress multi-site installations and can be used on unlimited sites. You can also customize them as per your specific requirements and can take the help of their support team to tweak them further. All purchases are white label-you can brand them as your own and can distribute them. With such a vast collection of WordPress solutions and backed by a very strong support team-WPMUDEV would be your perfect choice for all your WordPress needs. Do join their growing list of thousands of users who have found it perfect choice for everything that is WordPress and get quality solutions at affordable prices.